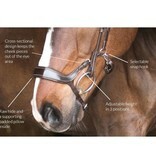 NOSEBAND The noseband´s height is adjustable in three positions for a guaranteed perfect fit. Thanks to this the risk of the bit locking is minimized. Additionally, the sensitive Infraorbital nerve at the horse's cheekbone is left free of pressure! 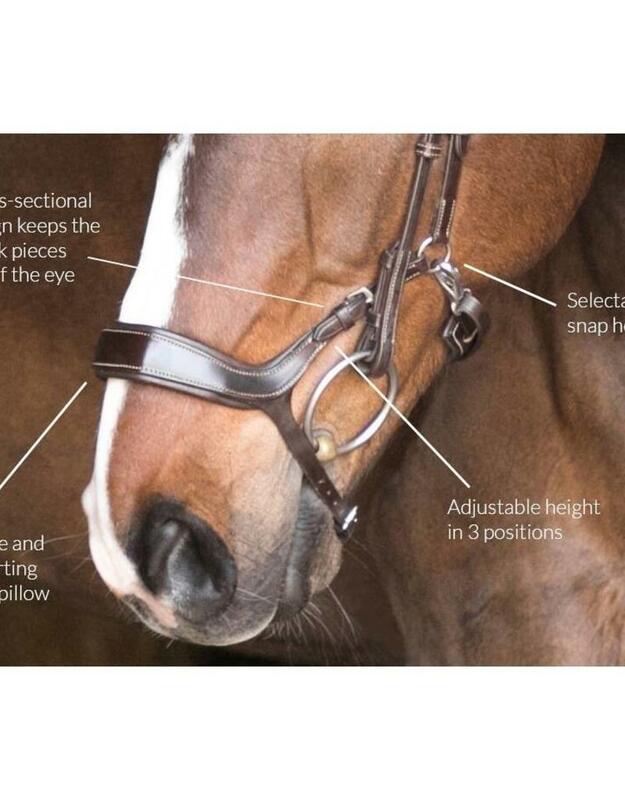 Thanks to the cross-sectional design of the noseband, the risk of the cheek pieces being too close to the eyes of the horse is minimized. 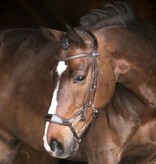 In the noseband´s highest position, it works like an English noseband but with Pioneer's other benefits. 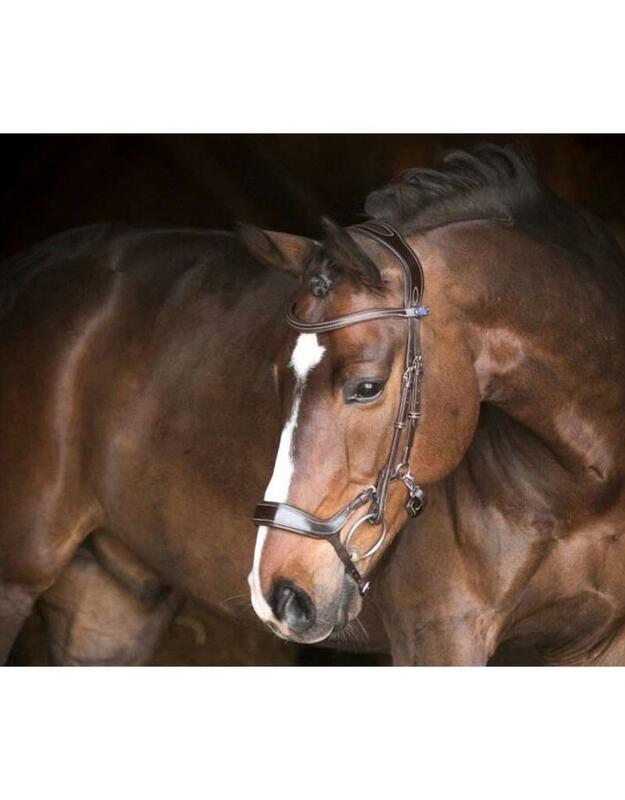 The noseband has raw hide on the inside to hold its shape and also features a built in soft pillow to increase the noseband's stability. 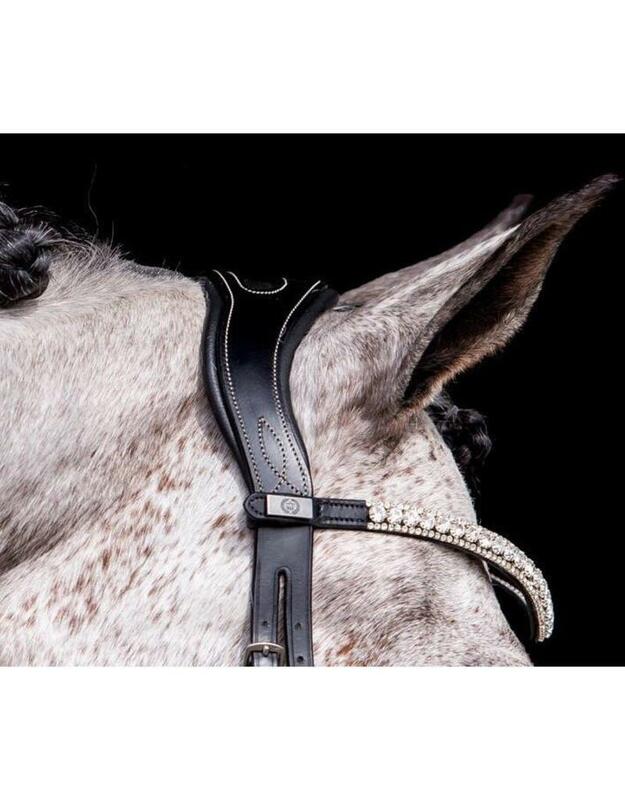 The snap hook of the upper part of the noseband can easily be removed and then closed as a pull-back in the traditional way with leather. 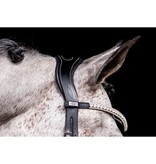 NECKPIECE The patented neckpiece is softly padded and leaves plenty of room for the ears to move freely. 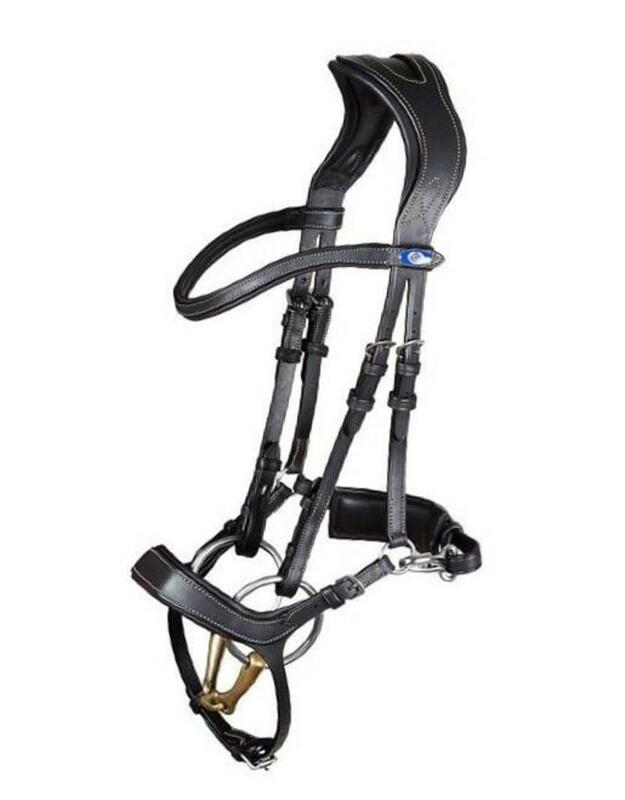 CHEEK PIECES The cheek pieces have our patented and selectable elastic Cradles™, which allows the bit to suspend in the horse’s mouth. This also helps to evenly the pressure across the neck. 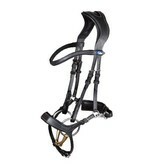 Our elastic Cradles™ are designed so you can easily hook them on and off. 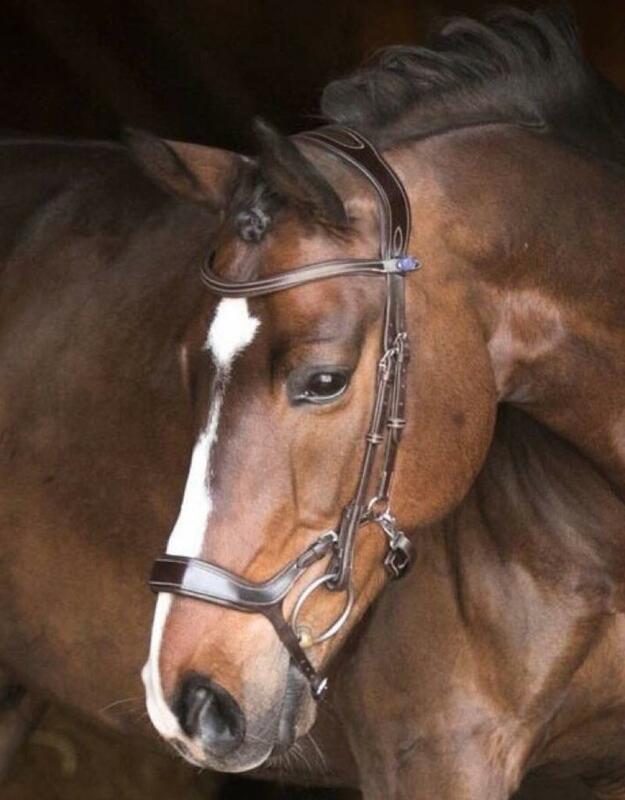 The Pioneer bridle is suitable for jumping, dressage and eventing. 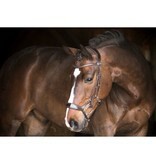 Approved to compete with by both FEI, USEF/USDF, and BD on horse and pony, in dressage, jumping and cross country.